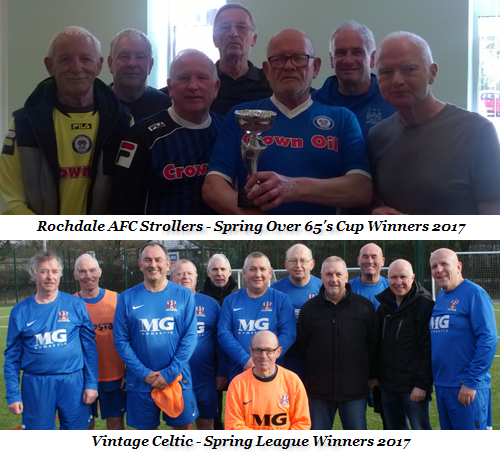 The Manchester Walking Football Autumn season 2017 is nearly upon us and after a successful Spring season and an Over 65’s Cup Tournament, I am sure we are all looking forward to it. The Spring season finished with 2 divisions of 5 teams and with a few others making enquiries it is hoped we can start a third division in September. After a ‘bedding in’ Spring season the divisions are looking more natural, with the better teams in division 1, and that’s with no disrespect to the teams in division 2. As in all sports there are teams of varying standards. The main objective is that we all enjoy the competition that this league has brought us and of course the new friendships made. We revised the rules in June, with all mention of barriers removed as thankfully they don’t apply at Heywood. The rules can be downloaded here and the main points are published in bold text. Paul Gardner has drawn up a Code of Conduct, for the Manchester Walking Football Autumn season 2017. Please read it and distribute it to all your players. It’s mainly common sense and I am sure that nobody will object to the content. Hopefully you will all endorse it. After a lot of controversy and complaints around the UK about the standard of physicality and refereeing in the FA People’s Cup and some in the National Tournament, at least we seem to have most problems under control, thanks to our excellent band of referees. Hopefully all the teams who played in the Spring league will rejoin us in September and it’s looking likely that we will be able to start a third division for this Manchester Walking Football Autumn season 2017 with 2 or 3 new teams showing interest, and a couple of clubs hoping to add second teams to the league structure. Also don’t forget that we have the Martin Dawson Memorial Tournament on Sunday 10th September. Last years winners Wakefield Wanderers have already committed, so get your registration in early to make sure you don’t miss out on what promises to be another excellent days walking football.